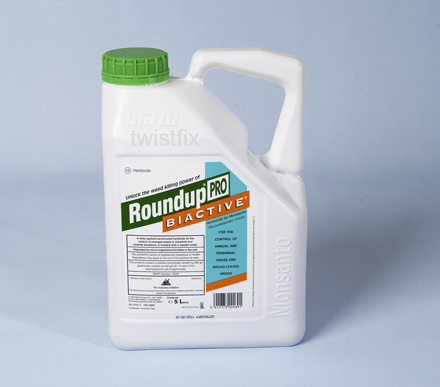 Roundup 360 Attacks the Allotment Weeds! Twistfix were approached by a customer who owned two allotments on which he had been trying to tackle persistent weed problems. Steve Hebson from Lancashire wanted an effective method which would eradicate nettles, docks, ragwort, couch grass and rosebay willow herb from the two sites. Already Steve had spent quite a bit of money purchasing off the shelf products and it had turned out that this actually had little success. After one of our technical team had spoken directly with Steve and the extent of the problem understood it was decided that Roundup 360 would be the best form of attack! Roundup 360 Pro Biactive is a professional weed killer that is both friendly to the environment and also to the people using it. For most perennial weeds you will need to dilute the Pro Active 1 part to 40 parts Water and for hardy plants like Rhododenron, ivy and Japanese Knotweed you will need to dilute to 1 part to 20 parts water. You can see in the pictures above the weeds before application of the weed killer and their transfor­ma­tion shortly after treatment. If you are having problems with weeds then do not waste your time buying off the shelf products which will not work. Use a professional weed killer which can actually achieve significant results. Please take a look at our grounds maintenance section which offers our customers a whole range of products. For more information please call us on 0845 1236006 or email info@twistfix.co.uk.